Well, had we been married in Sydney (we weren't, we got married in Winnipeg, Canada), Milestone Events in North Head, Manly would have been just the ticket. Having photographed so many weddings over the years, it’s easy to see when a venue is getting it right. Located only 30 minutes from Sydney’s CBD in the Northern Beaches, Milestone Events is super close but feels like you’re on a coastal getaway. 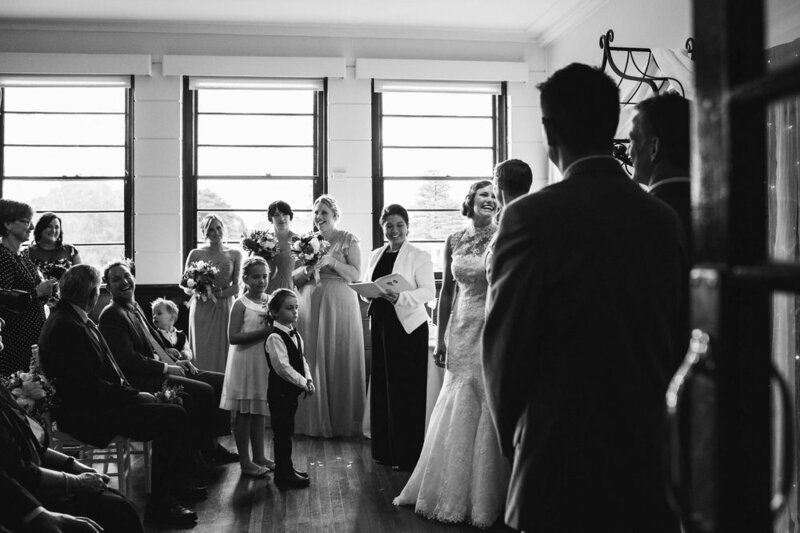 The ceremony location has amazing views over Sydney harbour, a perfect spot to say your vows. As a wet weather back up, ceremonies can be held right inside the vintage 1930’s reception venue. The venue itself has a heritage ballroom which seats up to 180 guests, along with a separate lounge space beside the bar. The classic features of the room lends itself to almost any style of decor, but vintage wedding themes in particular look amazing in this venue. Milestone Events can also arrange an outdoor garden wedding reception for dining under the stars. We’ve been told by many brides that the owners, Miles and his family, are really accommodating and helpful in the wedding planning process. The on site wedding planner will assist with anything to make your vision come to life. On top of that, some of the best reception food we’ve eaten has been at Milestone Events. Whether it’s a cocktail reception or a full sit down dinner, the award winning chef Marion Jane prepares the most delicious food. At Karen and Brad’s wedding, they even put together a special wedding cake, made completely out of cheese (my kind of cake ;)! Now for our side of things, options for photography are fantastic. Within such a small area, you have backdrops of Sydney harbour, North Head, native bushland and gardens. A short drive away is the Quarantine Station Wharf and beach, Manly, and Little Manly beach. Here are some additional images from weddings we have photographed at Milestone Events to get you even more inspired. Now, why should you ask us to photograph your wedding day at this fantastic venue? 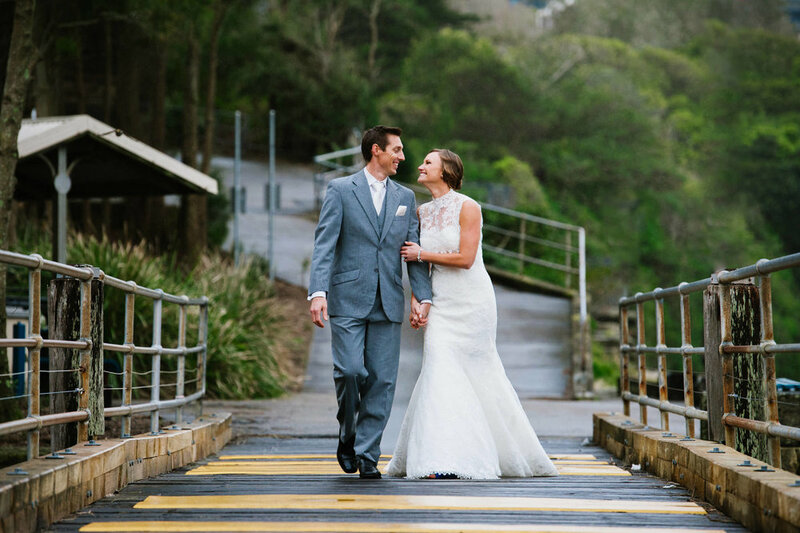 We know there are a lot of photographers to choose from for your nuptials, however we have captured many weddings in the Northern Beaches and at Milestone Events, making us experts at getting the best photos of you and the venue. We know how the lighting falls at different times of the day, we know the layout of the venue well, and we know all the best places to take your portraits and family photographs.